1. The Psalm as it appears in the scriptures (KJV). 3. Authorship, background and general theme including special highlights for some Psalms. 4. A section by section commentary. 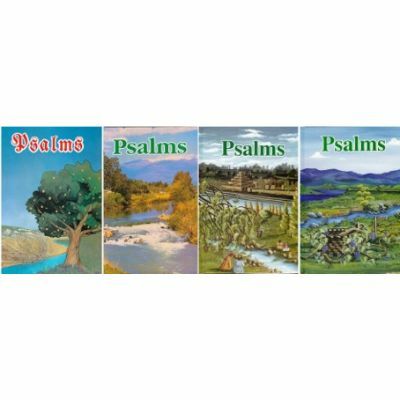 As an example Psalm 132 covers 18 pages. 1 page for the Psalm as it appears in the scriptures, 0.5 page for the structural analysis, 2.5 pages for the Authorship, background and general theme and 14 pages of section by section commentary. Many have purchased individual volumes as they have been published. We would like to encourage those who haven’t purchased any of the four volumes by making all four volumes available as a set for the special price of $82.50. This is $23.10 off the list price of $105.60.